Several years ago, data gathered from sociometric badges (wearable devices equipped with sensors) revealed something interesting about the Bank of America’s call center employees: Those with the fastest “average call handling time” were also the most social. The company then decided to introduce team-wide coffee breaks. The result, as reported in this New Yorker article, was a $15 million increase in annual productivity. 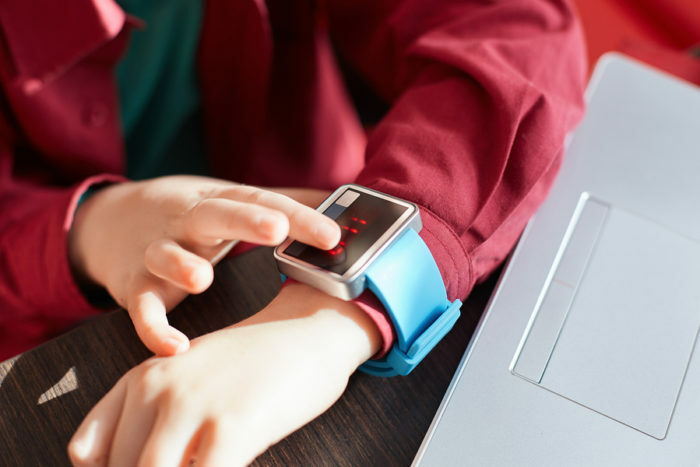 As this story shows, wearables can yield some definitively actionable insights for employers, and their potential extends far beyond using fitness trackers as part of wellness programs. Businesses can use sociometric badges, for example, to quickly identify the connectors and experts within an organization as part of organizational network analysis (ONA). According to the Deloitte Global Human Capital Trends survey, 48% of companies are experimenting with ONA. If you work in HR, it won’t be long before an executive turns to you and asks if a challenge such as engagement or innovation can be addressed with a smart badge or sensors embedded in clothing. While the form factor of such devices can be mesmerizing, wearables are no panacea. You’ll stay on course if you remain focused on what they truly are at the core: another data source that needs to be contextualized. Picture this: A particular department at your company is having an issue with product launches. The team is failing to meet timelines and is delivering sub-par work. Everyone has several hypotheses about the cause of the problem, from poor engagement to a disorganized manager. To investigate this issue, the first step really has nothing to do with cool technology — it’s more about using your people expertise to separate theory from fact. Start by asking: “How do we know that this is true?” Then take some time to jot down all your concrete observations and related questions: “Are people doing overtime? When did we start slipping on our product launches?” This will help you move towards an investigation based on pure, unbiased perception. In this step, keep your overall business goals in mind as you pare the list of questions down to the ones that impact your organization (consider areas such as revenue, customer satisfaction, or growth). This can take a bit of time, but it is worth the effort; with the right questions, you can avoid analysis paralysis. Some analytics platforms even have HR best practices baked into the information architecture to help guide you through this step. To determine which group you will analyze, you need to understand who is impacted by your key questions. You also need to determine what is the appropriate time period to investigate. For example, if the product launches have been slipping over the past year, look at a timeframe that goes back at least two years. Once you understand the who and when, you can dig into the why of situations. For our scenario, good questions are: “How often are people on multiple teams? Which roles are spread across multiple teams? How many different teams do people have to focus on?” This will help you select the right metrics to investigate. Project contribution history, meeting patterns, and employee churn details will all help you decipher why product launches are being missed. In this step, you need to determine which data sources will give you the information you need. For example, if information about communication patterns is important, a wearable such as a sociometric badge can be a valuable data source. Be warned, however, that analysis solely from one source will not provide a clear picture of how workforce trends are impacting business outcomes. To really glean actionable insight from wearables data, you need to combine it with other information. For example, you can look at employee absence rates and engagement data from your HR management and performance management systems, business outcome data from your ERP, and team communication patterns from a sociometric badge. From here, you can bring all that information into a single system that supports broad, ad-hoc analysis. True analysis requires the ability to combine different metrics, different statistical processes, and different ways to share and display the data so that “analytic stories” – ones that answer critical business questions – can be told. Now it’s time to take action, whether it’s improving compensation, or changing the structure of teams. When dealing with people, you are working with an eco-system of choice, which can be a messy situation: The reality is if you do something, the results will only happen for a segment of your population. Therefore, it is crucial to ensure whatever solution you develop is related to the appropriate “who” uncovered in step three. Ultimately, wearables call for the same approach you would use for any other type of information coming from your HRIS. When a solid data investigation premise is combined with multi-dimensional analysis, HR can gain powerful and actionable insights that help move the needle on workforce and business outcomes. This article originally appeared on the Visier blog.